Forests are the Earth’s lungs. They help maintain the water cycle and prevent soil erosion. Forests sustain biodiversity. Products derived from forests are used in our daily lives. Forest-based industries directly employ 13 million people, according to Food and Agriculture Organization’s (FAO) State of the World’s Forests report, 2014. Informally, they provide livelihood to 41 million people worldwide. But unplanned and excessive human activities are making forests disappear. According to WWF, we have lost about half of the world’s original forest cover in the last 50 years. In addition to their role in the lives of communities, forests are needed to store global emissions as carbon sinks, making their protection imperative. A recent study says forests could also help eliminate global hunger. Here is a look at some of the world’s precious forests and factors that threaten them. Amazon, the world’s largest forest, is spread over Brazil, Peru, Venezuela and Ecuador, among other countries. It is the site of the biggest projected loss. 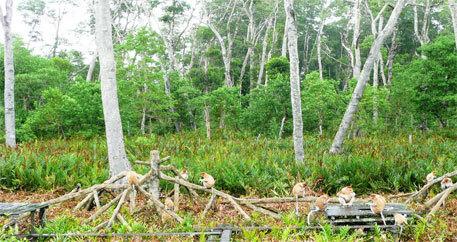 Reports say that more than one-quarter of the region will lose its forests in the next two decades. Cattle ranching and agriculture are among the dominant causes of deforestation of the Amazon. 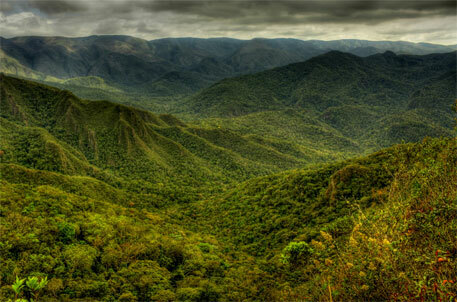 A UNEP report says South America’s total forest area reduced by 90 million hectares from 1990 to 2010. 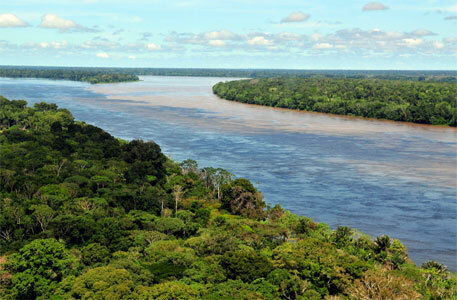 The Amazon rainforest is also threatened by oil spills in countries like Peru. A study shows that climate variability is causing the forest to lose its ability as a carbon sink. The Atlantic forest—covering parts of Paraguay, Brazil and Argentina—is one of the richest rain forests in the world, boasting of even richer biodiversity per acre than the Amazon. However, the region houses 75 per cent of the Brazilian population which places a lot of pressure on the forests. Deforestation is mainly due to conversion of forest lands into croplands for pasture. According to a UNEP release, the 1960s and 1970s saw rapid deforestation of Brazil’s Atlantic rainforest, Mata Atlantica, to supply wood to saw mills and provide land for cattle grazing. Eighty-five per cent of the forest has been lost and the remaining forest areas exists in pockets, says this non-profit. A local mill planted trees on some 91,000 hectares and reports show that forest area reserved for conservation is now regenerating naturally. But the Atlantic forest continues to fight for survival against urbanisation, with large cities like Rio de Janeiro and Sao Paulo in Brazil expanding inward. Brunei, Indonesia and Malaysia share the Heart of Borneo. It is home to 6 per cent of global diversity. But WWF says over half of these forests have been lost, especially in the last three decades. Only 33 per cent of the lowland rainforest remain. Deforestation and degradation are driven by weak governance and a lack of stability. Logging is done to provide for timber, palm, oil, pulp, rubber and mineral industries. WWF says increased human activity has also made the forest easily accessible to illegal wildlife trade. Deforestation will also make the forest vulnerable to extreme weather events. With fewer trees to control soil erosion, 14 of the island’s 20 rivers that begin from the Borneo forest have the potential to affect several villages downstream. Mining now threatens to further destroy this forest which is rich in coal, copper, gold, silver and diamonds. Cerrado, the high-plateau region of Brazil, is the most biologically rich grassland, says Nature.org. Forty-five per cent of all plant species found here are unique to the region. It is also home to 935 species of birds and almost 300 mammals. 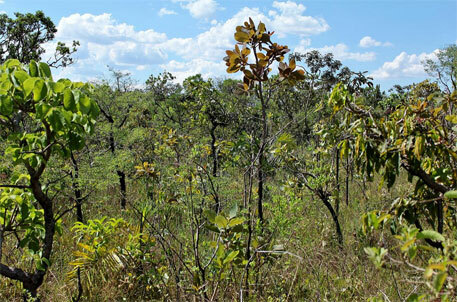 But only two per cent of the Cerrado is protected by national parks and conservation areas. The grassland is under threat from cattle ranching and the conversion of forests to make way for soy plantations. Large-scale agriculture has made the region one of the largest producers of soybean, says Nature, but has also degraded soil and water quality. If the current rate of loss continues, Cerrado’s savannah, woodland and forests will disappear by 2030. Many areas of the Congo Basin are provided on concession to logging and mining companies, leading to widespread deforestation, says World Wildlife Fund. Palm oil plantations and commercial agriculture operations are also putting forests at risk. Political instability and armed conflict in the region have led to refugees depending on forests for fuelwood and charcoal, severely impacting this forest. Illegal wildlife trade and poaching have also increased to a great extent. 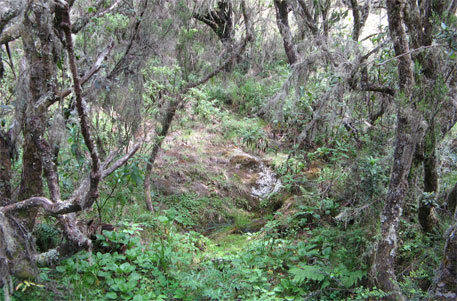 Coastal forests of East Africa. These coastal forests are spread over southern Sudan, Kenya and Tanzania. 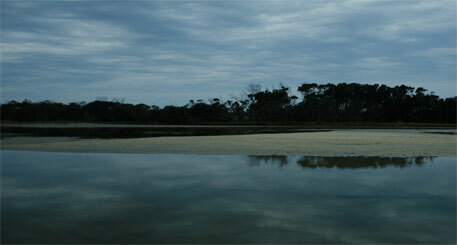 Apart from tropical dry forests, they also contain wetlands. The ecoregion is densely populated, with 200-300 persons per square kilometre, living almost on the fringes of the forest. Increasing population has put additional pressure on resources. Much of eastern Africa’s forests are overharvested for timber and fuelwood, illegally logged and converted for livestock and cash crops. The coastal forests of Tanzania and Kenya have already been reduced to 10 per cent of their original area. 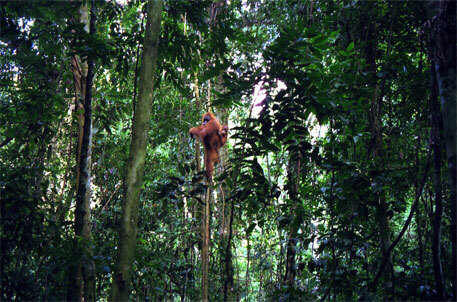 Sumatra forest is special because some of the rarest animals and plants are found here. It is also the only place in the wild where tigers, rhinos, orangutans and elephants co-exist. But Sumatra, especially Riau province, has become the centre of Indonesia’s palm oil production—the industry driving deforestation, even in protected forests and national parks. The status of plans by some governments to stabilise and even reverse forest loss remain unclear, leaving tigers, orangutans, rhinos and other wildlife at risk.